Home » Publications » Chapter 3: Applying Prevention Principles to Drug Abuse Prevention Programs » What are the cost-benefits of community prevention programs? What are the cost-benefits of community prevention programs? Parents can work with others in the community to use the prevention principles in selecting drug abuse programs. Educators can incorporate research-based content and delivery into their regular classroom curricula. Community leaders can work with evaluation experts to evaluate program progress and develop improvements in outcomes. How are risk and protective factors addressed in prevention programs? What are the core elements of effective research-based prevention programs? How can the community implement and sustain effective prevention programs? How can the community evaluate the impact of its program on drug abuse? NIDA. "Preventing Drug Use among Children and Adolescents (In Brief)." National Institute on Drug Abuse, 1 Oct. 2003, https://www.drugabuse.gov/publications/preventing-drug-use-among-children-adolescents-in-brief. NIDA. Preventing Drug Use among Children and Adolescents (In Brief). National Institute on Drug Abuse website. 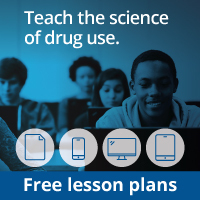 https://www.drugabuse.gov/publications/preventing-drug-use-among-children-adolescents-in-brief. October 1, 2003.